I feel like I could relate to this one because anger issues is something I know well lol. But I also like Suzanne Young's writing. This may turn out to be a cool one. It's that time a year again. When kids get all stressed out because homework is piling up. And the days still holidays begin to count down. Back to school! What I remember most about this it that the author is from Staten Island and I think my English teacher in high school said the story took place there too. Being from Staten Island I would picture my neighborhood as the setting of the story. I really liked Poe's writings the semester I discovered his works. This short story was my favorite. I had a good English teacher that semester, Ms. Moussourakis. She, like myself, was a fan of the 1960's gothic soap opera Dark Shadows. Dark Shadows was influenced my many gothic themes and this was on of them. SPOILER ALERT: A man takes revenge on someone who insulted him by encasing him in a wall of bricks! This is just a classic story and study about society. Being a fan of the TV show LOST I then reread during the show's first season and the book still held up. This is my favorite play. I must seem like a cynical person having two books in a row that are about the failures of society. I'm not, but I guess I just like stories about them. Anyway, this play is flawless and since reading it in high school I have seen it performed twice. Once in London two years ago, staring Richard Armitage as John Proctor, and again this year on Broadway staring Saoirse Ronan as Abigail. I would see it again anytime. This is another book I reread after high school, when the movie with Leonardo came out. I think I liked it better the second time. When I read it in high school we had a fun and eccentric teacher, Ms. Decker, who made reading interactive. While reading The Great Gatsby we also did a group project where each group had to research a different aspect of the 1920's: fashion, music, food/diet, news, etc, and we had to present our research in the form of a play. years later when saw the play on Broadway with Andrew Garfield and Philip Seymour Hoffman I remembered the details like the stockings, and the hose in the basement. The witches were my favorite part. I would love to see it performed. Though due to superstition it is called "The Scottish Play". Most of the other classes in my school were given Romeo and Juliet or Hamlet to read, but I never read those. Besides the two I mention here I only ever read Julius Caesar, King Lear, and The Merchant of Venice. I liked Othello more than those. The manipulations of Iago are diabolical. I am so sad because I would have loved to Chiwetel Ejiofor and Ewan McGregor play Othello and Iago. It was in London though and they never brought it to Broadway. 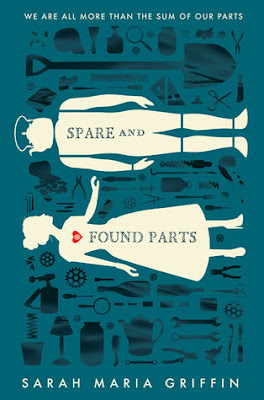 At the time I was not a fan of the book itself because of the prose. I often wonder if I should reread it as an adult and see if that has changed. However, I love the concept itself and all its themes and symbolisms. I like watching modern interpretations of the classic story. Such as the way it was used on Showtime's Penny Dreadful and the West End production starting Jonny Lee Miller and Benedict Cumberbatch. I read this my first semester of my sophomore year. I remember it was very sad and I liked it. I think the main character had a child who was an outcast because he/she was albino. I hope I am remembering that correctly. 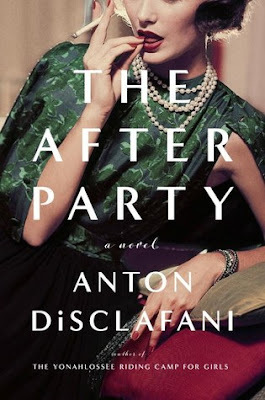 Book Review: The After Party by Anton DiSclafani! The After Party was a fast read. I got through 100 pages in a day easily - which was a plus. They story was entertaining in a Real Housewives of Houston way, only set in the 1950's. The women take care of their families, go to social functions and gossip. Cece, given her childhood and family life I get her attachment to Joan, but it crossed over into a self-destructive obsession. The secret Joan withheld was easy to guess before it was revealed. While it was tragic I didn't feel overly sorry for her. Perhaps because she was spoiled. I guess, though, that her decisions are more true to life. Not everyone gets to pick themselves up when they hit rock bottom. In a more inspirational story she would have achieved her dreams to "go where the ideas are." I loved the descriptions of the fashion of the day. DiSclafani painted a clear picture for my mind to imagine the glamour and elegance. I thought of fashion sketches and illustrations of the 1950's. Overall I was luke-warm about The After Party. I liked it well enough, especially that I finished it in 4 days, but it's not added to the favorite list. 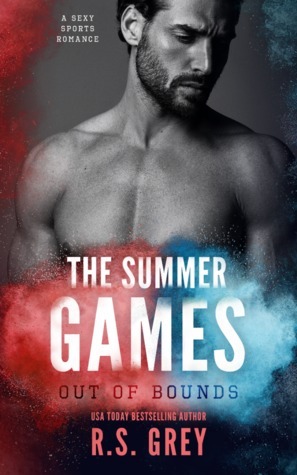 Book Review: The Summer Games: Out of Bounds by RS Grey! With this year being a summer Olympic year, this book couldn’t have come at a better time. The final five blowing it out of the water in Rio, and this final five doing the same. Add some romance into the mix, I felt like I had a front row seat to the action. This just sounds hella cool. Like Frankenstein on acid or something. 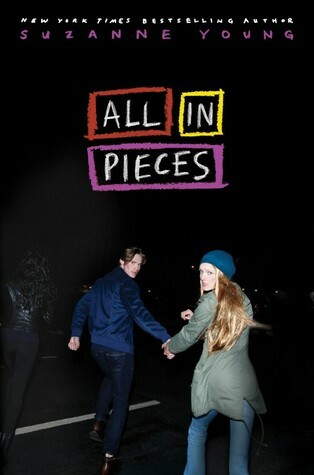 Plus, the cover is equally as cool. This is going to be a big list for us because we both have 10 books each. Just bear with us. I have no idea how long this has been on my TBR pile. I would guess over ten years. I also have no idea how many books are in the series. The receipt is from Boarders (I miss them!) and is dated March 26, 2008! This is a signed copy I bought from Housing Works in August of 2005. Eleven years!! Ok, I have to move this up and read it in 2016. I bought this while on a cruise in September 2009. I loved her other novel Rebecca, but I kept putting this novel off. 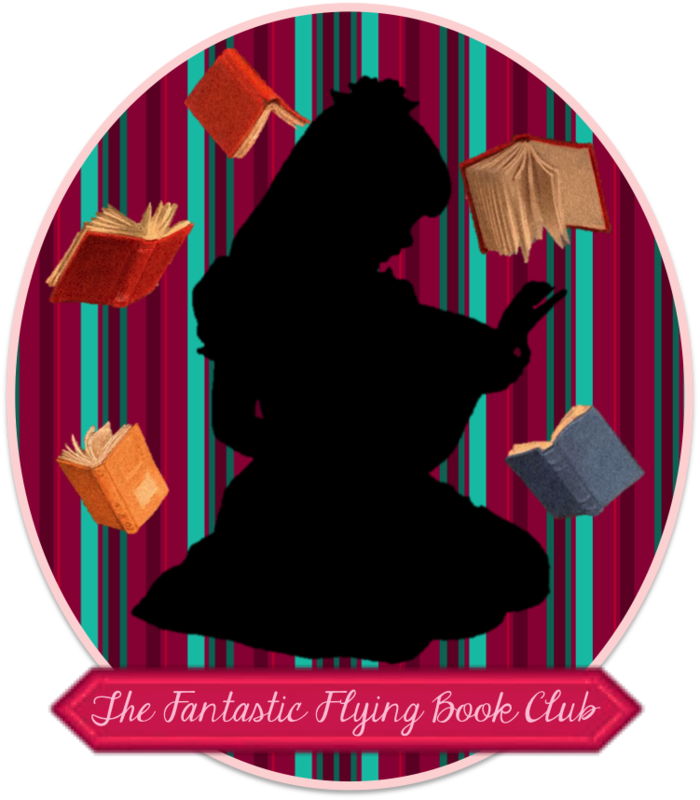 Partly because my sister tried to read it before me and didn't like it, though she also loved Rebecca. I probably bought this because I liked the cover. The receipt says April 30, 2011. I bought this because I knew someone with the same last name. 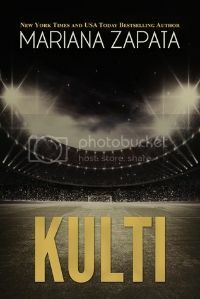 And I liked the cover. I still have the ARC from Book Con 2015 on my TBR(among others I picked up from Book Con 2015.) And now there is a sequel coming out. I never read the book and I picked up a 20th Anniversary edition while at Book Con 2014. Still waiting there, but since they are vampires they can wait longer. I have many, many, many books, some ARC, that I picked up from New York Comic Con over the years. But this is one, a graphic novel, I should read before this year's NYCC. This is only a fraction of my TBR. I think there are about 80 books just stock piled. There are also the Star Wars novels that I have accumulated. Most not even considered "canon" anymore. There are also ebooks on my nook. I buy or collect books faster than I can read. I need to make it a mission to read the TBR pile before collecting more. Every since I've seen the movie, I knew I needed to read the book. And I still need to. Another movie favorite. I've flipped through some pages and it is still on the top of my list. 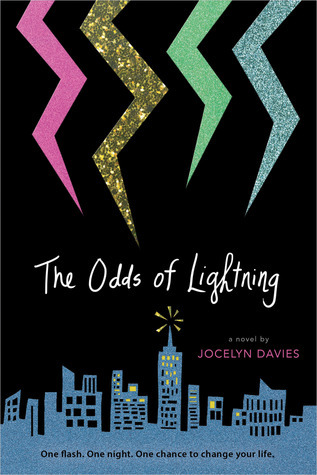 I loved the first book and I've been kind of iffy about starting this one but I refuse to take it off my TBR. This was recommended to me and I just never got to it. I was all ready to read this and then the movie came out and everyone talked crap about it. My need to read went down. Another rec but I just keep forgetting about it. I have it, I just need to be in the mood. Huge ER fan, so I love Michael's work. Jurassic Park being one of my favorite movies, I want to know how the book holds up. When I first went into the New Adult world, Easy was everyone's top read. It is still on the deck for me to pick up soon. My friend told me I should read this. I can't even remember why now but I know it's been on my list for a while. I got this book from NYCC one year. I was so excited because I met Mindee and she talked the book up. Once NYCC was over, it kinda left my mind. Most of my TBR list consist of recommendations or pretty covers that I see around. One of these days I'm going to get to it. Another New York inspired story. I think I'll connect with this one because it's about friendships and growing up. I went through the same thing kind of with my high school friends. High school is a drag no matter who you are. So I always wanted to go away to a sleep-away camp or a boarding school. Basically when I was younger, I just wanted to get away. But that's why we have books. This may be one of the best because it's in Paris. Who doesn't want to go to school in Paris? What I loved about this one is that everything happens at night because of the vampires. Like a slumber party every day! There was nothing special about this school besides the fact that sparkly vampires went there. But the scenery was gorgeous. This is the boarding schools to end all boarding schools. Still waiting for my letter to arrive by owl. Maybe they have a continuing ed program. This felt more like a realistic take on boarding schools. And since John went to one, I believe everything. This was hilarious at how over the top it was. Now all I think about is the cliques and mean girl shenanigans that happen at boarding schools. School wasn't the best for Holden, but who could blame him really? I know this wasn't really a school but to the kids it was all they knew of it. Kinda like a school meets an orphanage meets a holding facility for clones. Again, not really a school but more like a school of hard knocks. I loved this and it made me want to go to military school. Good thing I'm too old because I know I wouldn't have survived. 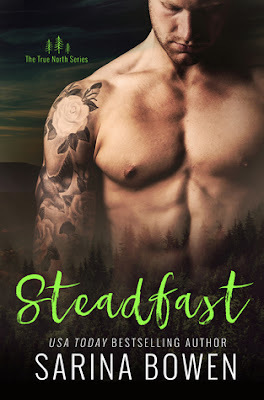 Book Review: Steadfast (True North #2) by Sarina Bowen! This book hit home, it ripped a little bit of my heart out. Now, I didn’t have long emotional drawn out tears like I’ve had with some books but I did have tears a lot, like A LOT throughout this book. Who isn't a sucker for a royal family? I haven't read an Emma Chase book in a while, but this one has me excited. Kind of reminds me of the movie Prince and Me, sorta.